A Victoria’s Secret store in the Carriage Crossing mall in Collierville, Tenn., has issued an apology and offered a $100 gift card to a customer who was handcuffed and accused of shoplifting Monday after attempting to return an item to have a security tag removed. 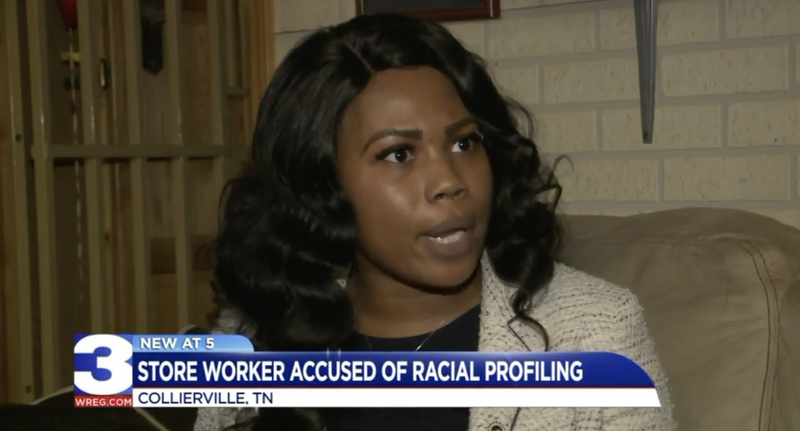 Instead of simply having the tag removed from her item, Jovita Jones Cage had the cops called on her by the store’s manager, and Cage says she was racially profiled. “She got the receipts out and was able to find the right one and remove the sensor. I told her she could keep the bag there because I was going to go shopping around the store,” Cage said, referring to a store employee, in an interview with WREG-TV. As Cage continued shopping, she noticed a police officer enter the store. The officer approached her and asked the store manager if she was the one they’d called about. It was then that the officer handcuffed Cage and told her she was under arrest for shoplifting. Cage contends that she was treated harshly because she’s black and was in tears even after the cop realized she wasn’t shoplifting. Although Cage did nothing wrong, the cop escorted her out of the store and told her she was banned from returning. We are sincerely sorry for the experience Ms. Jones Cage had in our store. Bottom line, we made a mistake, and we do not tolerate this behavior. Our head of stores has been trying to reach Ms. Jones Cage to personally apologize for her experience. Victoria’s Secret is adamant that all customers be treated with dignity and respect. We have investigated the matter, and the associate involved is no longer employed with our brand. In addition, we are meeting with every associate in the store to reinforce our values and policies. We are committed to delivering an excellent shopping experience to every customer, every time … we have work to do—and we are dedicated to this mission. Cage says that she has consulted with her local chapter of the NAACP and needs the company to do more than just issue a statement.